Originated in Seattle, Veraci is an award-winning traveling wood-fired pizza company, with its northeast Bend location just off NE Butler Market and Deschutes Market Roads. They design and build each new pizza oven as a unique functional work of art using a proprietary refractory clay mixture that withstands burning apple wood temperatures ranging from 850 to 1000° F and builds each oven entirely by hand for eight weeks. Their pizzas are ready to eat in about ninety seconds, when the pizza hits the bricks and molecules of water in the dough turn to water vapor and escape upwards through the crust, harkening back to the time-honored traditions of Naples, Italy. 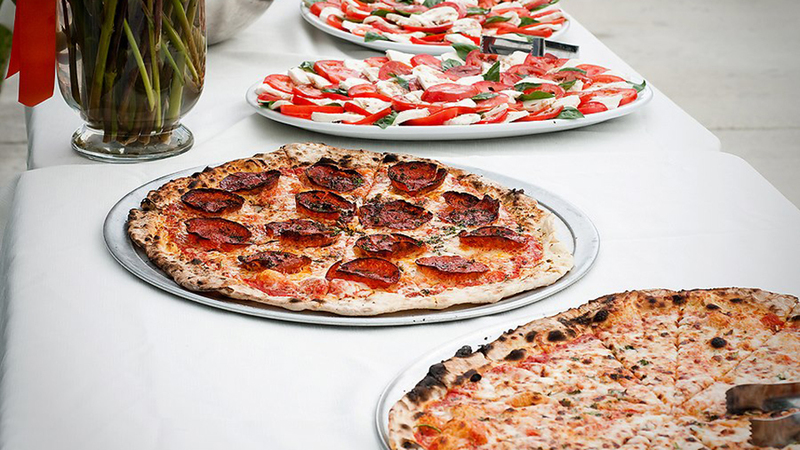 Veraci loves bringing their artisan wood-fired pizza to your event (within a 60-mile radius of Bend), as well as appetizers, salad and also dessert pizzas along with disposable plates, napkins, and forks. Their service time for packages ranging from 30-220 people lasts for 2 hours and they can also take care of sodas and water for you.